Our Bees are Busy Carrying Pollen Baskets! 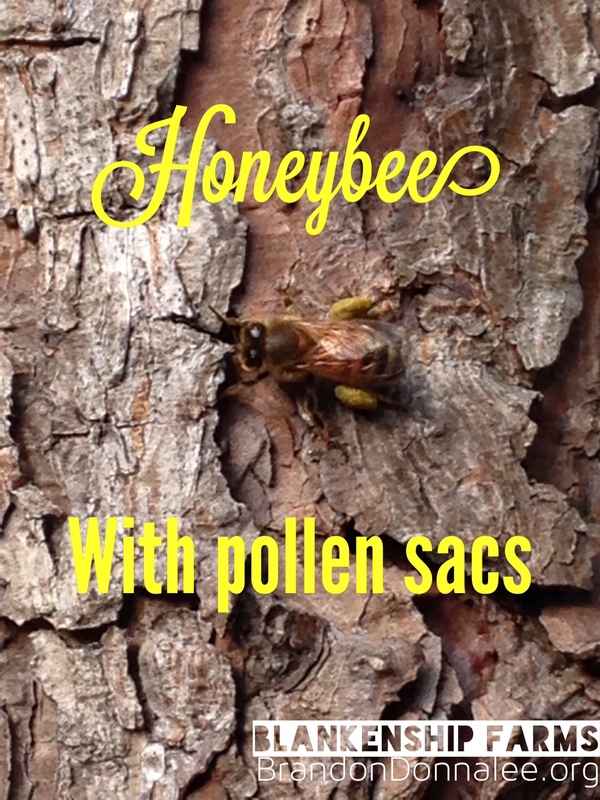 We caught this photo of one of our honeybees resting on a tree close to the hive as she was headed back loaded down with pollen. You can see that pollen in her pollen baskets. The pollen basket (technically called the corbicula) is part of the tibia on the hind legs of the honeybee. They use the structure in harvesting pollen and returning it to the hive. This was right after the January “snowpocalypse” during the thaw, and we were so surprised to see that there was any pollen to gather. One thing the honeybees have taught us is that in Central Alabama, where we are located, there are very few weeks that don’t have some kind of pollen production. Remember when the camera for this shot of this pollen basket would have cost big money and weight almost five pounds? This photo was taken just with an iPhone 5C. Not bad. Right place, right time. Hoping the honeybees continue to stay busy and we have a great honey harvest this Spring. Stay tuned!